Book an MOT Online. Select your brand to book. From the cheapest budget car to the most prestigious performance model, every vehicle in the UK is obliged to pass an annual MOT test once it is over three years old. Research by the RAC indicates that the MOT failure rate for cars is approximately 40%, and higher still for commercial vehicles. Drivers may be more surprised to hear that the reason a car is not deemed roadworthy is usually a minor and easily resolved fault, rather than a major mechanical flaw. Such common problems as a dead headlamp bulbs, split windscreen wiper blades or a hole in your exhaust can all result in an MOT failure – meaning that you will have to make another appointment, be without your vehicle for longer, and pay more to keep it on the road. Some simple car checks and small adjustments before your MOT, however, can keep your annual test as quick and painless as possible. 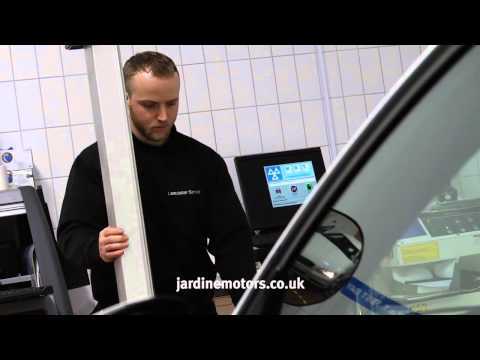 The skilled technicians at Jardine dealerships are usually able to complete your MOT test in an hour or less. If your car should still happen to fail its test, we will provide you with the requisite detailed record of why it did so – along with other, less serious items of damage or wear and tear that may become an issue at a later date. Contact your nearest Jardine Motors Group dealership to book your vehicle in for an MOT.